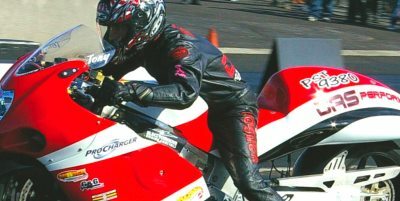 Cycledrag has just confirmed, by phone, that the title contending DAS Performance bike, out of Dracut, Massachusetts has been sold to an un-named buyer. When Eric Paquette, the owner and builder of the bike was called to conform the sale of the famous Pro Street bike, all he would say about the destination of the machine is “When the bike leaves my shop, it’ll take a while to get there.” Out of respect for all parties concerned, the actual details of the transaction remain closed at this time. 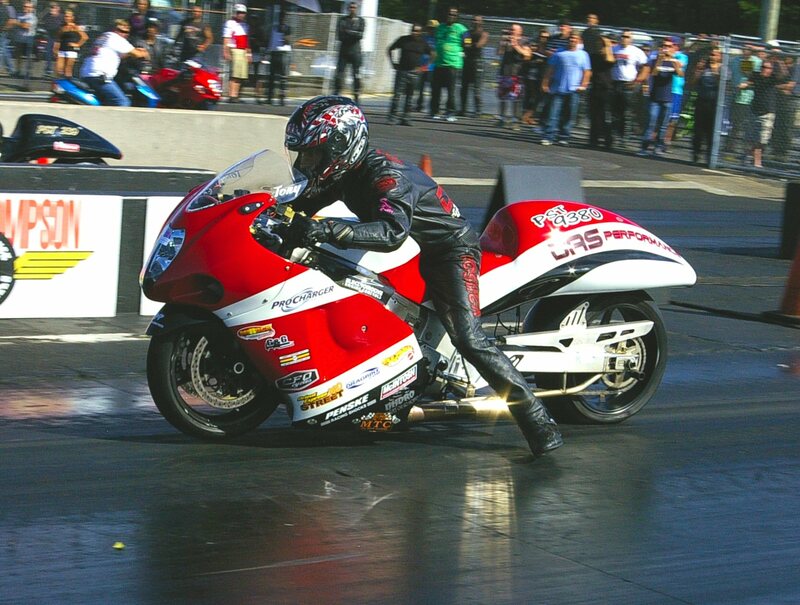 However it is known that the 6.90 bike that has made numerous passes over 200mph is now on it’s way to a new owner. Eric is pleased the bike is headed into new ownership for this has paved the way for the team’s next generation of their Pro Street bike which is already well under construction, “We hope to have the new bike done in the next three months or so. We will definitely be ready by Spring time. If all goes well, we hope to be testing at, or by the first MANCUP race in April at Valdosta, Georgia” stated Eric in a recent interview. The new bike will have the same appearance as the previous famous red and white Hayabusa, but under the body work, things will be different. “It’s time to tryout some new ideas I’ve had in mind” said Eric, “I have some improvements in mind from what we learned making a few hundred passes on the 6.90 bike. “ Yes the new machine is a Suzuki Hayabusa, yes it will have a ProCharger unit force-feeding the motor. In 2014, Team DAS Performance will be headed into the MIROCK Racing series once again looking to do damage in the Pro Street class. While they do intend to begin testing with the MANCUP series, their focus remains with MIROCK. Tony Ficher of Falmouth Mass will once again be in the drivers seat for Team DAS Performance.